Heavy gauge type 304 all stainless-steel construction. 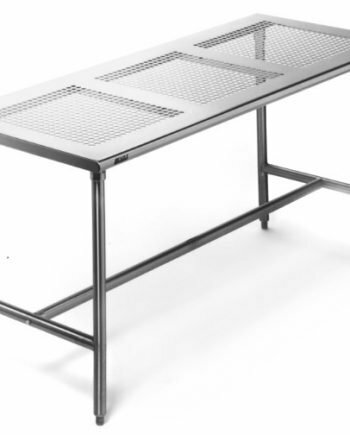 Perforated tables, perforations are 0.75” (19mm) diameter on 1” (25mm) centers to allow a minimum 40% laminar flow. Tops are 14 gauge, electropolished or brushed stainless steel and reinforced with heavy gauge hat channels. Alcohol-wiped and cleanroom bagged. 1.5” (38mm)-diameter, rolled down edges at front and rear. Ends turned down 90° at 1.5” (38mm) providing for flush installations when required. Base assembly incorporates the “strength by design” patented uni-lok® stainless steel gusset system which is welded into hat channel, reducing lateral movement. Legs and cross bracing are 16 gauge 1.625” (41mm)-diameter with welded cross bracing front to back and choice of center or rear knocked-down cross bracing. For solid top tables, undershelves are heavy gauge construction with hat channel reinforcement on tables 84” (2134mm) and longer. 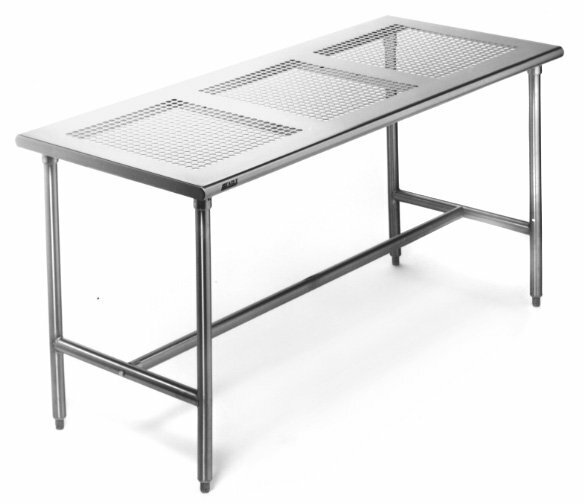 Tables supplied with 1” (25mm) adjustable stainless steel bullet feet. 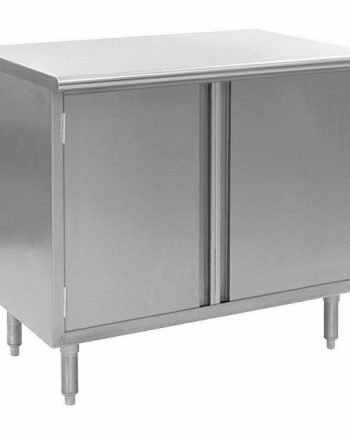 All tables provided with stainless steel assembly hardware and are shipped knock-down.